The Languedoc Roussillon has a lot going for it: sunshine, historical monuments, beaches and mountains, to name but a few. We shine the spotlight on the top six reasons we love this beautiful area of France. The Languedoc Roussillon in the South of France is a truly beautiful part of the Mediterranean, with so much to offer, it is hard to know where to start. 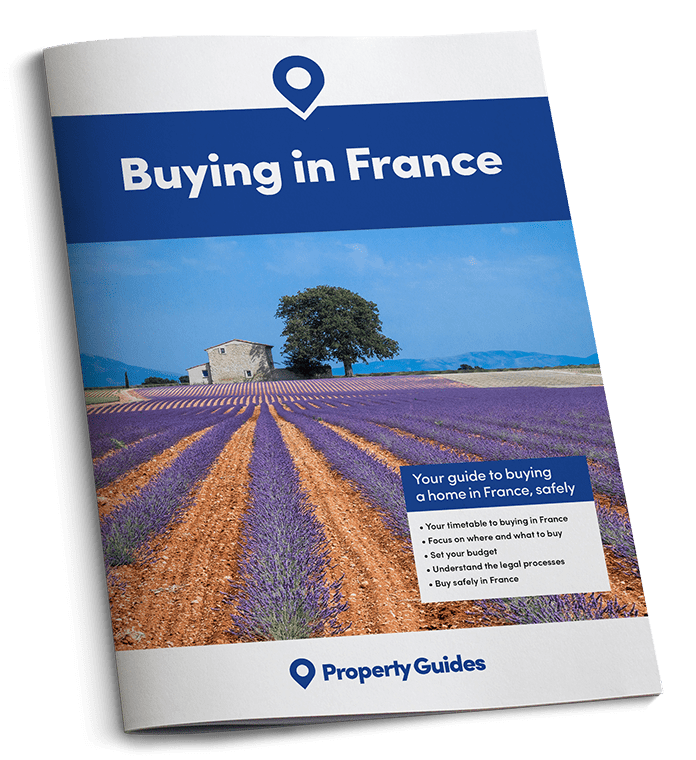 We have picked six reasons why British property buyers love to buy a home and settle in this stunning region of France, either for a holiday home, or to live in France permanently. It is truly an outdoor way of life here: everywhere you look, people are eating and drinking outside. 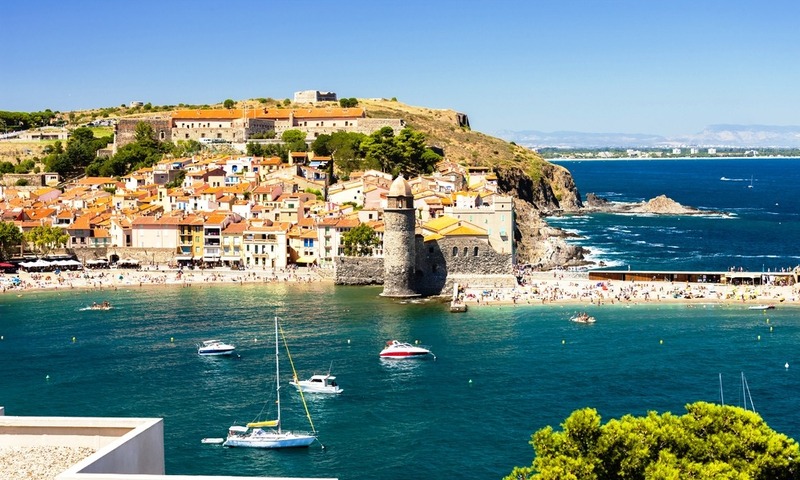 Blessed with a wonderful but seasonal climate, the Languedoc Roussillon is close enough to Spain for regular trips, situated only about an hour away from the Spanish border. Much of this unspoiled region of France lies on the Mediterranean coast, with hundreds of kilometres of white, sandy beaches. You never have to worry about finding your spot on the beach here, as there is more than enough space for everyone. 2. Good wine – at good prices! The Languedoc is the largest wine growing area in the world, literally surrounded by vines. In early summer, the vines are bushy, tall and a vibrant green, although the grapes still have a long way to go to reach maturity. Once known as the workhorse area of the wine industry, the region is now fast raising its profile as a prolific producer of wine, and rivals the wines of Bordeaux for both quality and price. The history of the Languedoc is impressive, and many buildings go right back to medieval times. The summer is the most glorious time of the year in the Languedoc. The sun is warm, the sky is a deep blue, and daylight remains until almost ten in the evening. It is truly an outdoor way of life here: everywhere you look, people are eating and drinking outside. Many restaurants and bars have live music, and you will always find a concert or other event somewhere locally. There is a large expat community in the Languedoc; and it all seems to work seamlessly. The local French people we know are delighted to find so many British people buying homes in the area, renovating them, setting up bars, art galleries, and other small businesses. Why wouldn’t you? The British are almost certainly helping to boost the French economy down in this part of France. The history of the Languedoc is impressive, and many buildings go right back to medieval times. The Aude is one of the largest departments in France and is home to some incredible Cathar monuments, often perched so high up on hills that we often ask ourselves how on earth our ancestors managed to build them! The Languedoc is the largest wine growing area in the world, literally surrounded by vines. The ruggedness of the local countryside is reminiscent of cowboy country. Hiking and cycling are two of the most popular pastimes here, as are river sports, such as kayaking and white water rafting. Talking of water, it need not be beyond financial reach for many people to install a pool in this area of France. Our pool, for example, is small, at around 5×3 metres, but it is enough to splash around in – and a complete joy to sit beside in the evening, watching the sun twinkling on the water. Even Eddie and Alfie the dogs like to cool off in it these days. Image caption: Wish you were here? Our resident expert expat in France, Alexis, enjoys her pool in the Langudeoc with her dogs, Eddie and Alfie. With five airports serving the UK within reasonable reach of the Languedoc Roussillon, this is one of the easiest of areas of France to travel to. 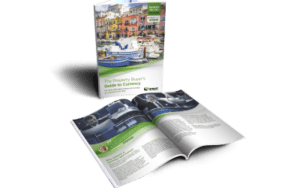 No wonder it is fast becoming the number one area in France in which to buy property, always popular with expats and holiday home buyers from the UK.